I remember reading good things about Attack The Block, the sci-fi teen comedy-horror movie, on its cinema release last year. So its double-DVD set looked a good buy at just £5 at my local Morrisons supermarket the other day. I wasn't disappointed and I can see why many critics had raved about the film debut of writer-director Joe Cornish. But also I can understand the objections of amateur reviewers, who were turned off by the movie's first 10 minutes. The eventual teenage heroes, who save their south London housing estate from alien invasion, are introduced as menacing knife wielding hoodies ready to mug a lone woman. Their leader Moses, well played by John Boyega, brings the revenge attack on the block by enthusiastically stomping to death the first and smallest of the aliens. But given some willing suspension of disbelief, it is soon possible to root for the gang. Cornish doesn't labour the social issues but they are there, as are nods in all directions to landmark sci-fi movies. I liked particularly the monsters were free from CGI effects and were back to stunt men in hairy suits. The £5 deal, however didn't turn to be quite the bargain it seemed. The feature disc stuttered in various parts and twice came to a stop. I was able go back and view the missing parts. This meant while I can't be arsed to seek a refund, I can't loan the DVD to my children both of whom are fans of the movie. The second disc - an hour of various feature about the making - of the film - overstays its welcome. 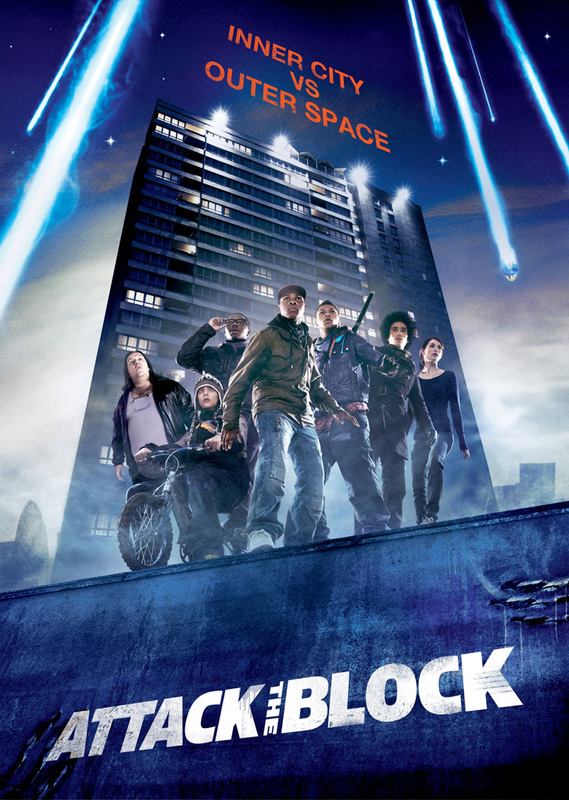 All in all I would have prefered to see Attack The Block in the cinema even if I were the oldest member of the audience. But then I wouldn't have been able to use the sub-titles function; even if I could have heard the dialogue clearly I'd have had less chance of understanding it.